With unique features and characteristics, the human face takes on an oval, round, oblong, square or even a pear, heart or diamond shape. Though each person is born with pre-determined proportions and facial structures, however, some feel as though the mid-region of their face is flat, thin or understated. 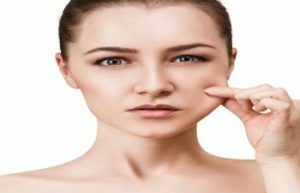 On the contrary, one might feel satisfied with the appearance of his or her face, yet bothered by loss of volume and drooping in their cheeks as they age. In both instances, cheek enhancement has the ability to bring balance and beauty to the face, while accentuating and refreshing the look of other traits. While injectable dermal fillers are sometimes used as a nonsurgical option to enhance the cheeks, the American Society of Plastic Surgeons explains that cheek implant surgery (augmentation) can be a life-changing procedure for patients that are self-conscious about their cheeks. As such, if an individual is seeking to enhance the volume in the mid-face region with cheek augmentation, it’s important that the person is a non-smoker that’s relatively healthy and at a stable weight. Moreover, it’s necessary to have realistic expectations about the process of cheek enhancement and how to prepare ahead of time. Cheek implant surgery is highly personalized and requires an acute awareness of facial anatomy and symmetry. The most successful outcomes are experienced when the procedure is performed by a trusted facial plastic surgeon with expertise in cheek enhancement surgery. 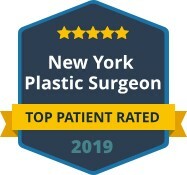 Dr. Maurice Khosh is a renowned cheek implant plastic surgeon in New York City, with dual board certification and years of experience in facial cosmetic and reconstructive surgery. 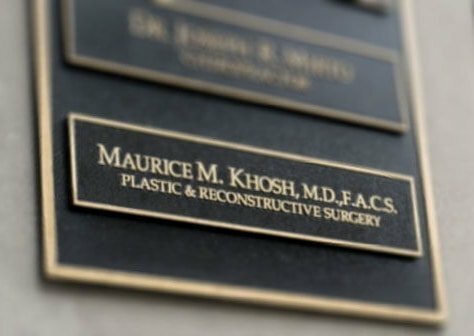 Dr. Khosh carefully considers every aspect of a patient’s facial structure, tailoring the procedure to create the result that a patient desires. Furthermore, Dr. Khosh’s extensive experience allows him to combine cheek enhancement surgery with other procedures to help patients achieve harmony and a more youthful, energetic appearance. 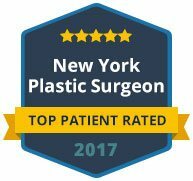 To learn more about cheek enhancement surgery or to schedule an appointment with Dr. Khosh, call his office today on Park Avenue in New York.